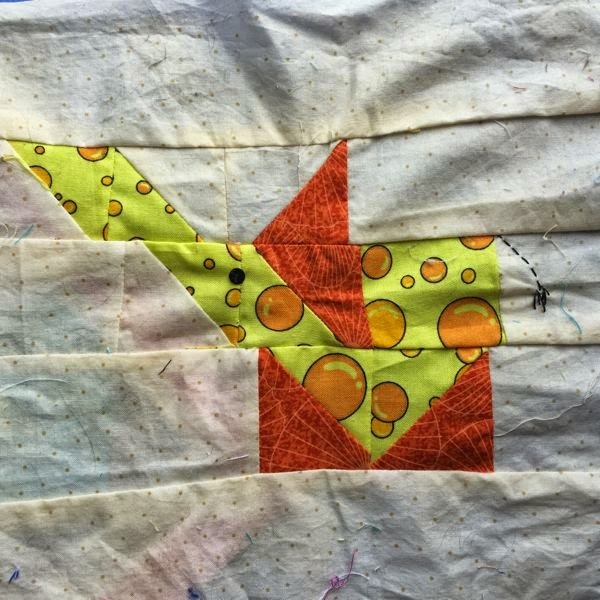 One of the first quilt blocks I ever made was an elephant that I hobbled together from a pattern in my head (pictured below). I've loved this block for years, but never had and idea as to what I could turn it into. Originally, I was hoping to make a full-sized quilt of elephants - but, as you can probably guess, that didn't happen. When I finished the block, the beginner quilter in me said - heh, yeah, that's too much work for a large bed quilt. So a single block, she remained. She's a little more abstract that the original, and reminds me of a more cubist elephant, but she's a perfect representation of my style and sentiment. The pink and dark blue fabric are from my sponsored girl, Emily's, quilt. The white and teal dot are from Valeria's quilt, and the the solid blue is from Josué's quilt. I used a small, found button for the eye, and embroidered on a tail. All in all, I really love how this block turned out, and now that I've made another, I could easily see the original becoming part of a larger pillow sham or table runner. I still think it would be too much to make any kind of large quilt out of them, but a smaller wall-hanging could be cool. If anyone is interested in the pattern, please let me know. I'd be happy to share it. 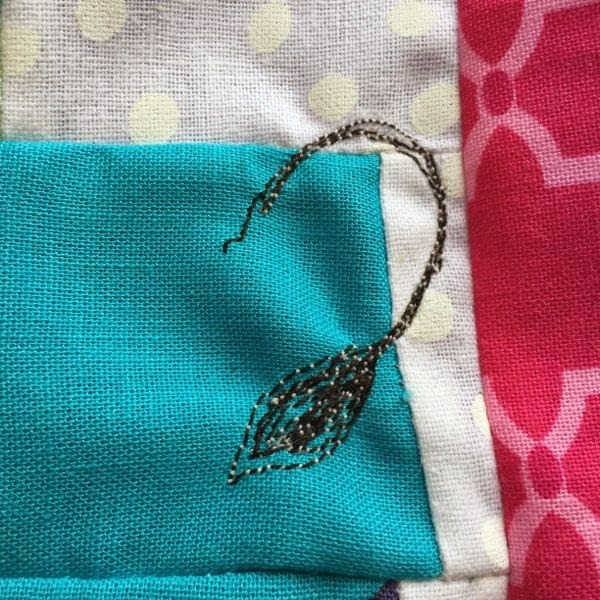 And so, while I'm blogging from Ecuador and bringing quilts to each of my kids here, I'm also using the same fabrics to remember my time hosting this blog. It has a sort of beautiful symmetry, no? Your elephants are so cute! What a great block for the 52Q project. 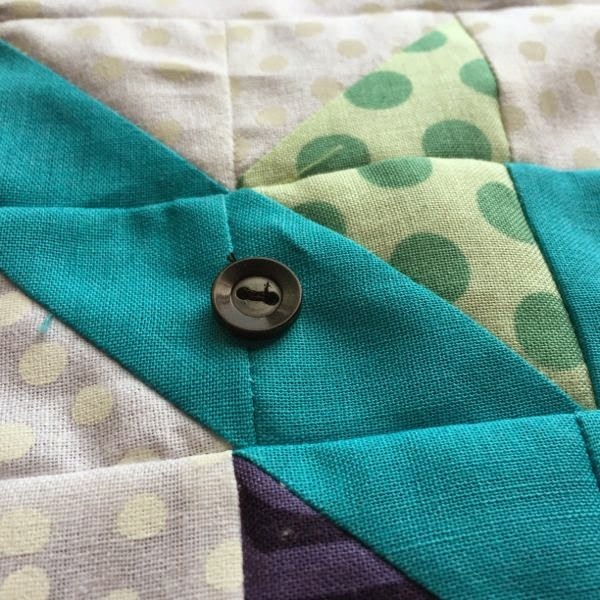 I love that it incorporates the beginning of your quilting journey, as well as your current adventure! Thanks, Laura! 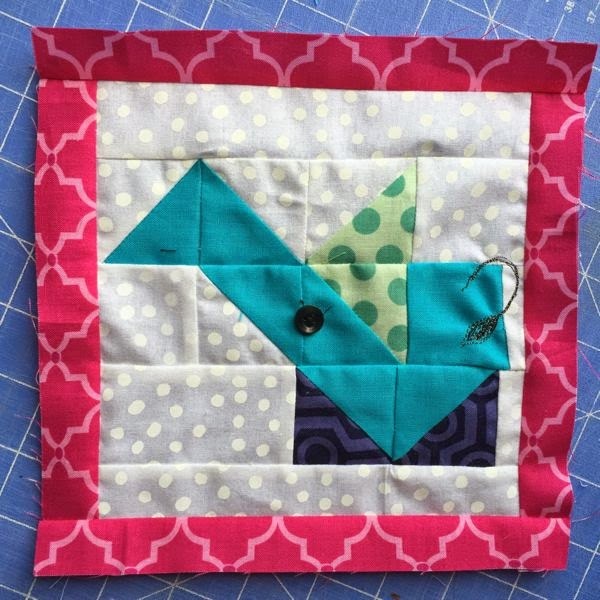 I had a great time recreating this block for the 52Q project!